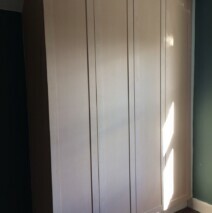 Walk in wardrobe for easy access to all those lovely shoes and clothes, with extra storage at the top to hide all those not so nice shoes and clothes….! 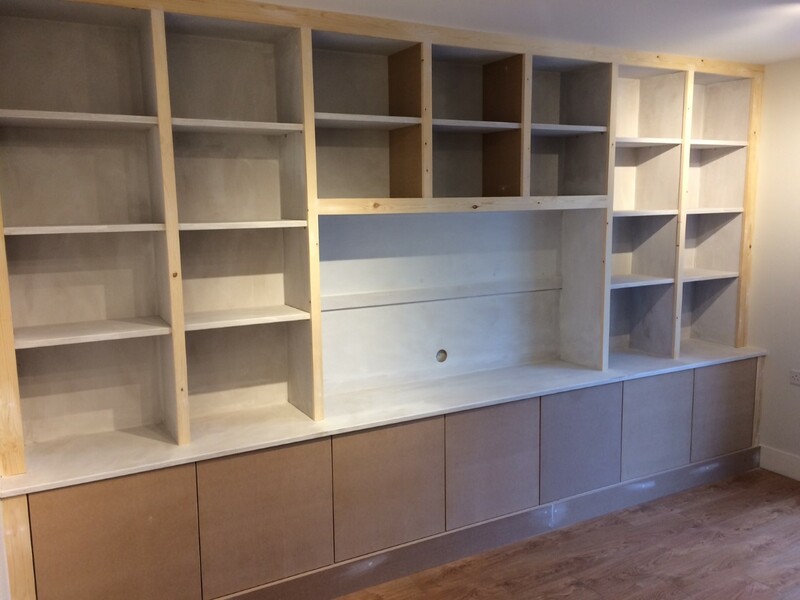 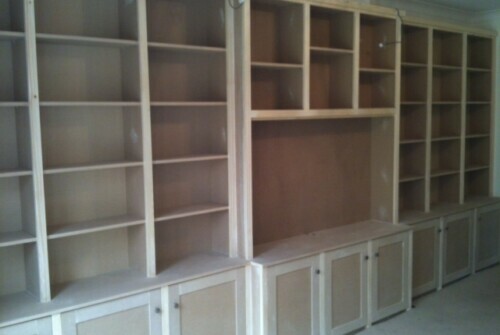 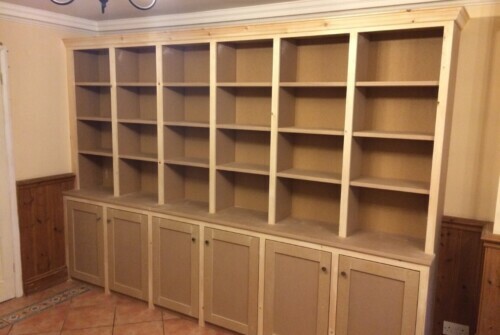 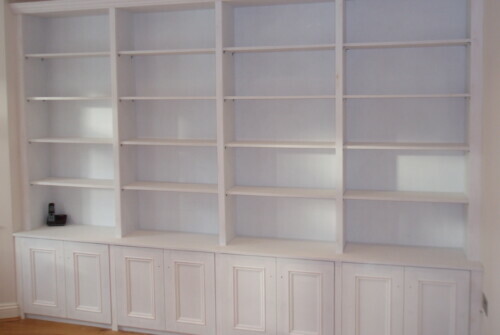 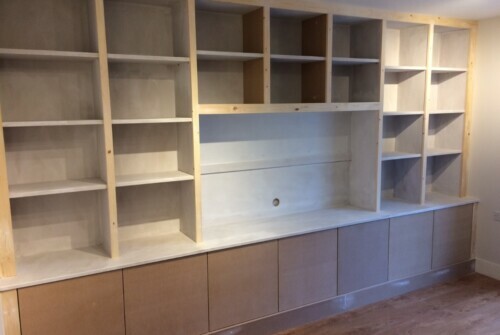 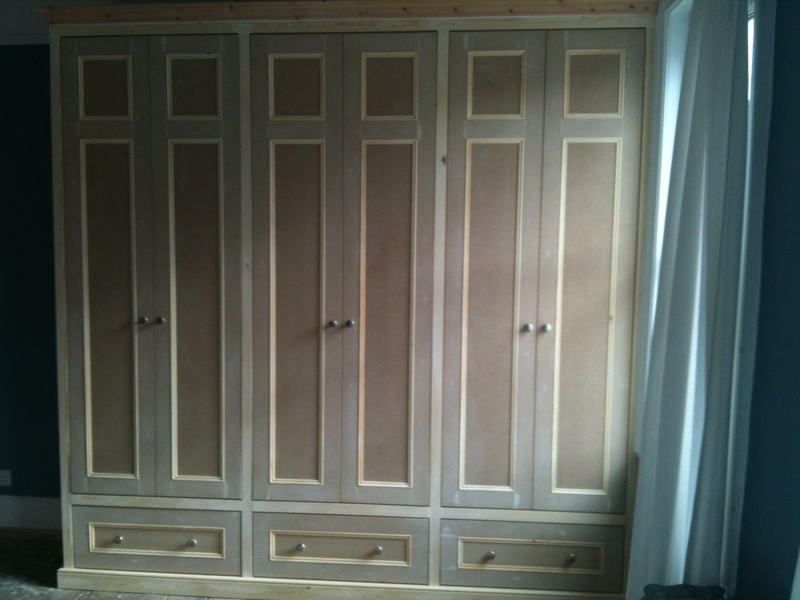 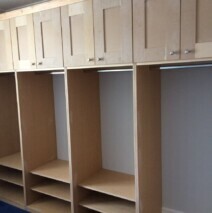 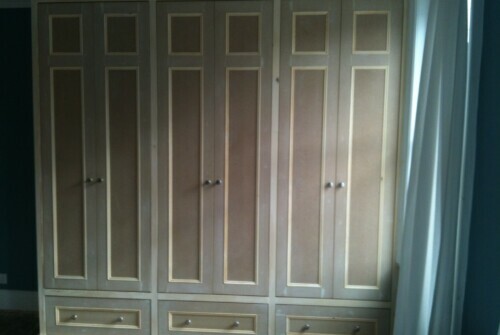 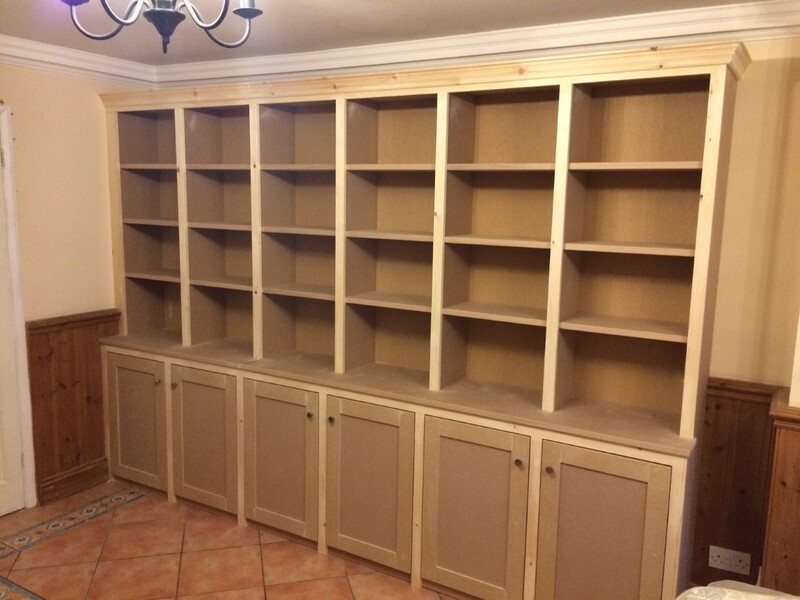 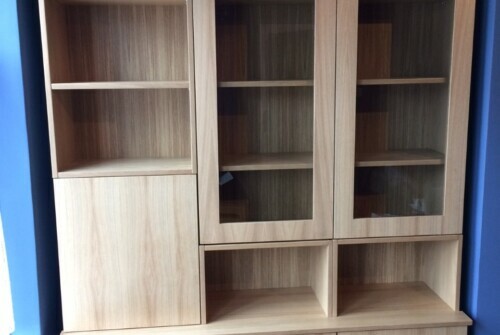 Shaker style wardrobes in MDF to size and pattern. 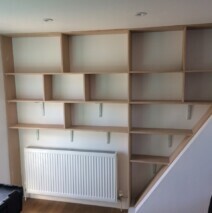 My client had a strange recess that was perfect for all the extra books etc that seem to appear over time! 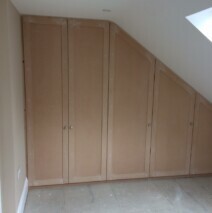 MDF Shaker style loft wardrobes to size and pattern. 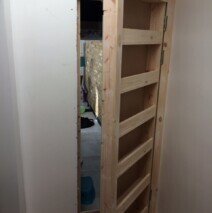 Everyone loves a secret door right? 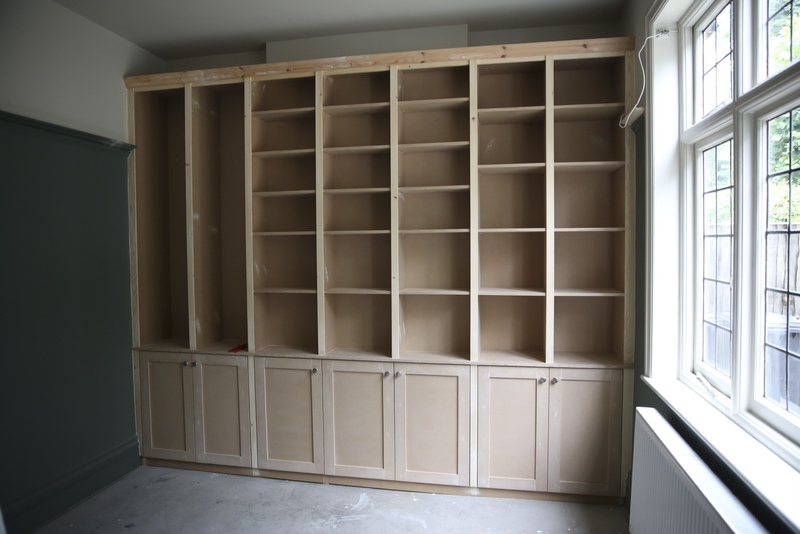 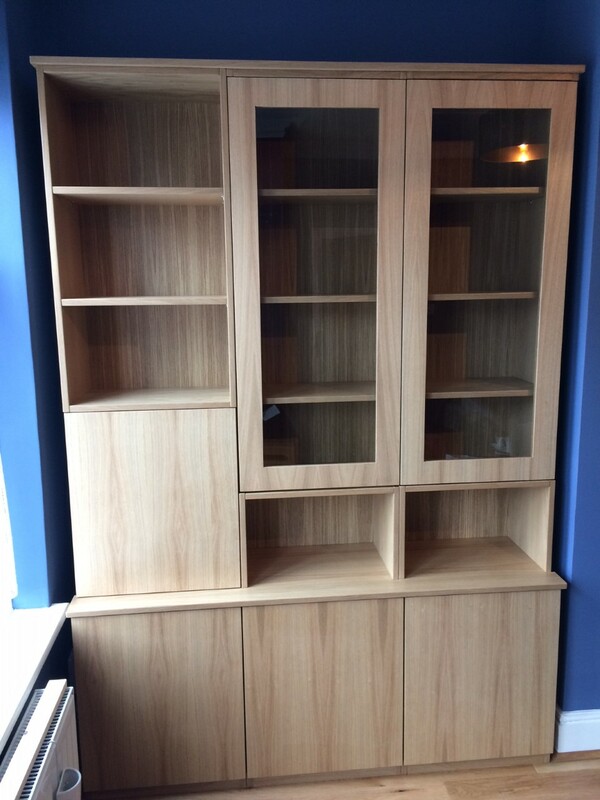 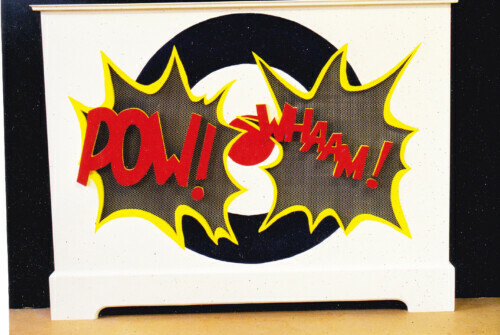 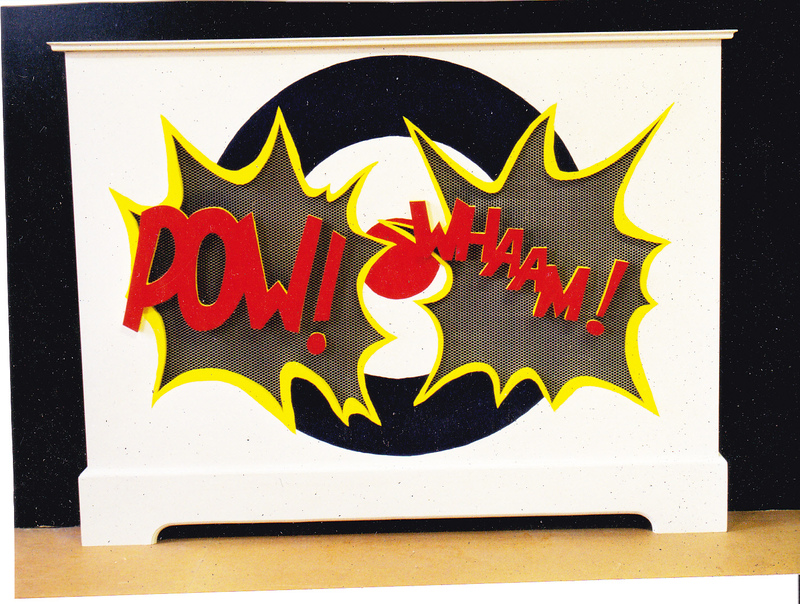 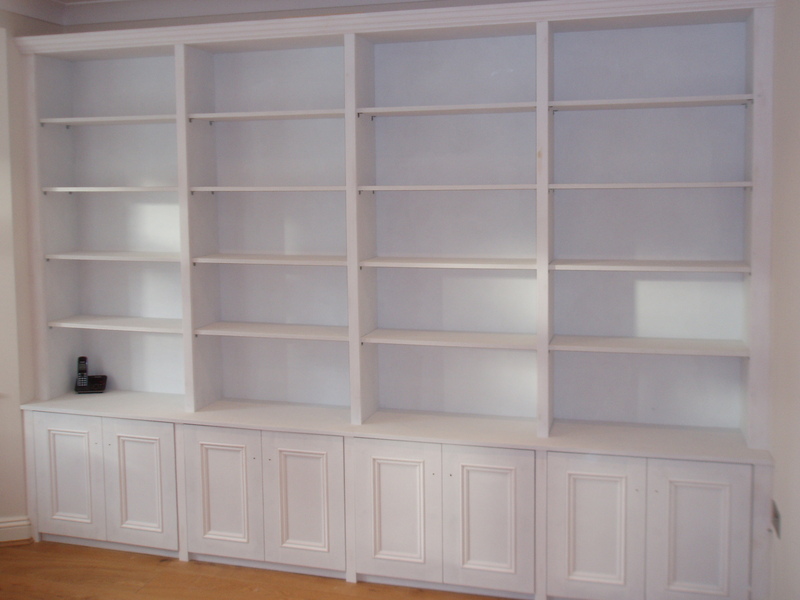 Disguised as a bookcase leading to ….? 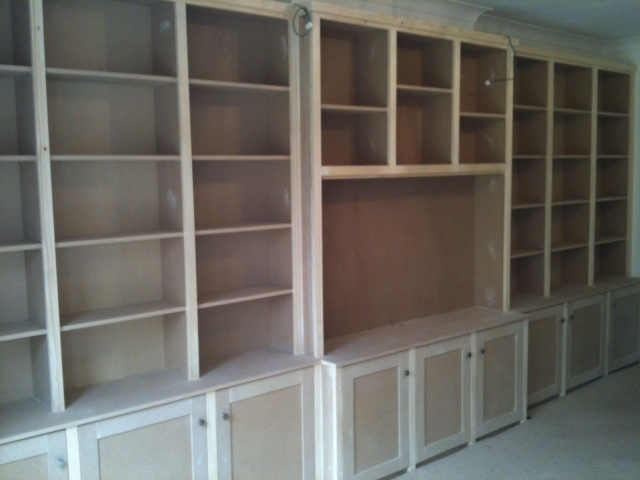 This was a very large media unit with a space for a massive TV in the middle. All along one wall, good use of storage space. 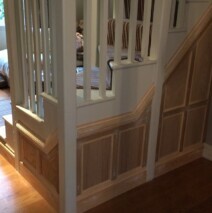 These stairs were completely open at the bottom so I created a decorative paneling both sides to smarten it up. 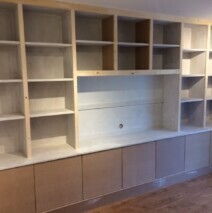 The client was very happy!